The Ekiti state governorship petition tribunal sitting in Abuja has declared Kayode Fayemi, governor of Ekiti as the winner of the last governorship election in the state. Fayemi's victory was challenged by Kolapo Olusola of the PDP. 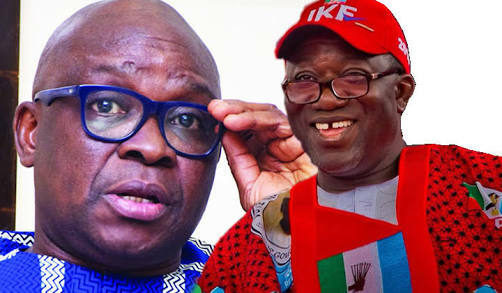 Reacting to the development, Fayose wrote; "I would have been surprised at the judgment of the tribunal if it had been otherwise because the judiciary was already coerced by the APC led federal government. In fact, the judgement was in public domain and celebrated by APC since the last few days."